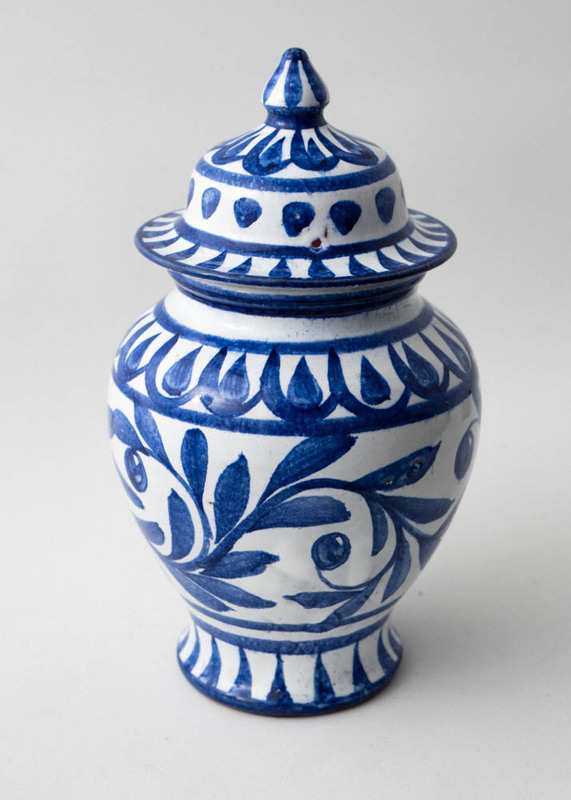 A small ginger jar with a strong cobalt blue foliage and berries design, hand painted by Estella Swift Goldmann. This piece is very decorative but could also be used functionally. 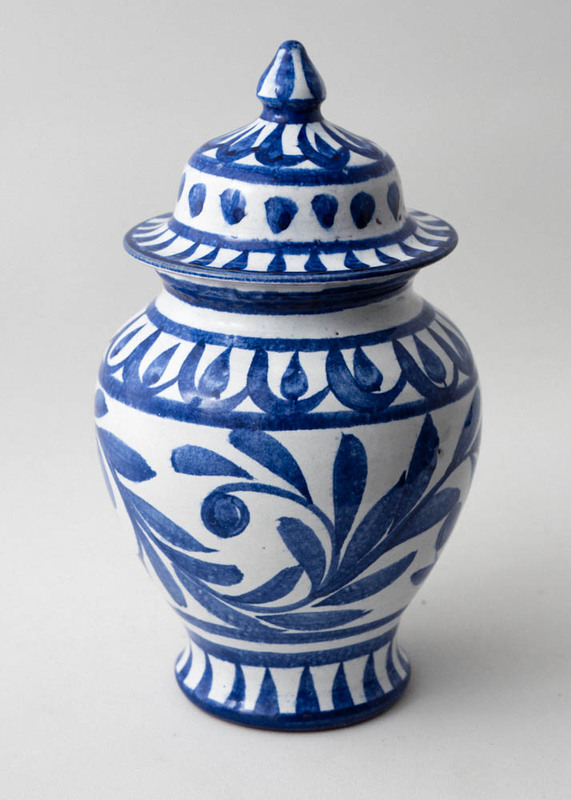 It is a hand thrown piece in two parts, the pot and its lid.